Estonian painter Mall Nukke (b. 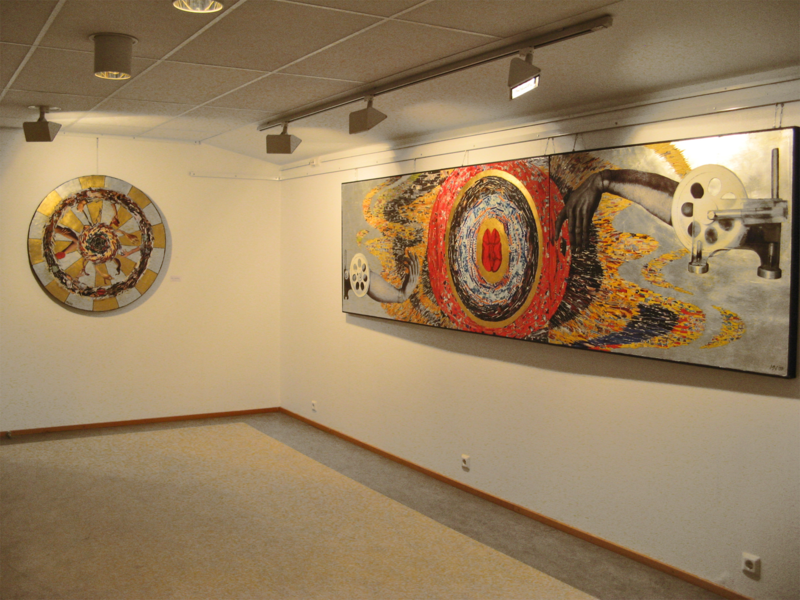 1964) opened her solo exhibition on Tuesday in Uusikaupunki, Finland. She is especially well known for her collage art in her home country. Nukke has studied in various art schools and obtained a MA degree in printmaking at the Estonian Academy of Arts; however, in collage art she is self-taught. „I am strongly fascinated by the collage technique that is complicated and more difficult compared to painting. 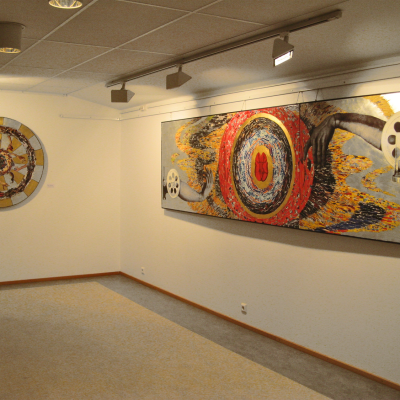 In Estonia, I am the only artist specialized in collage art and teaching the subject both at the Estonian Academy of Arts and other art schools. 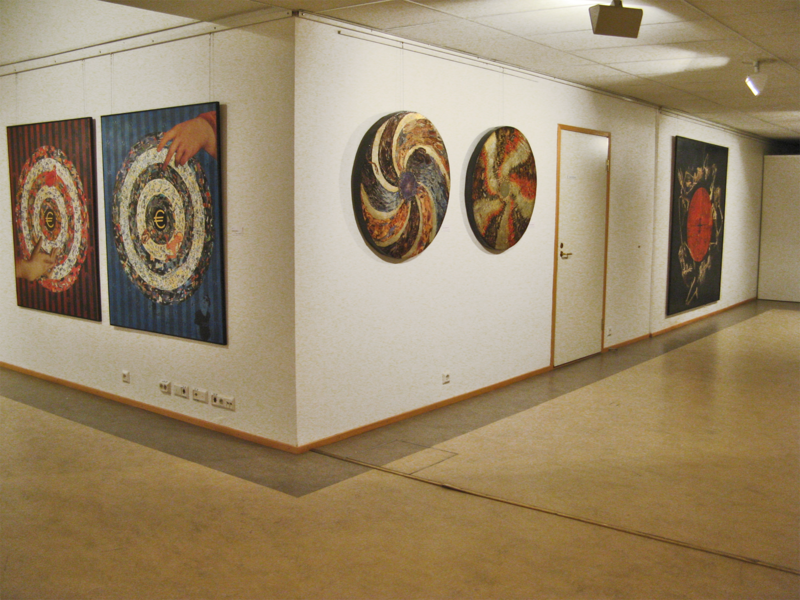 I have taught collage art also in Finland.“ Nukke is currently exhibiting about thirty outstanding artworks in Crusell Cultural Centre, Finland. 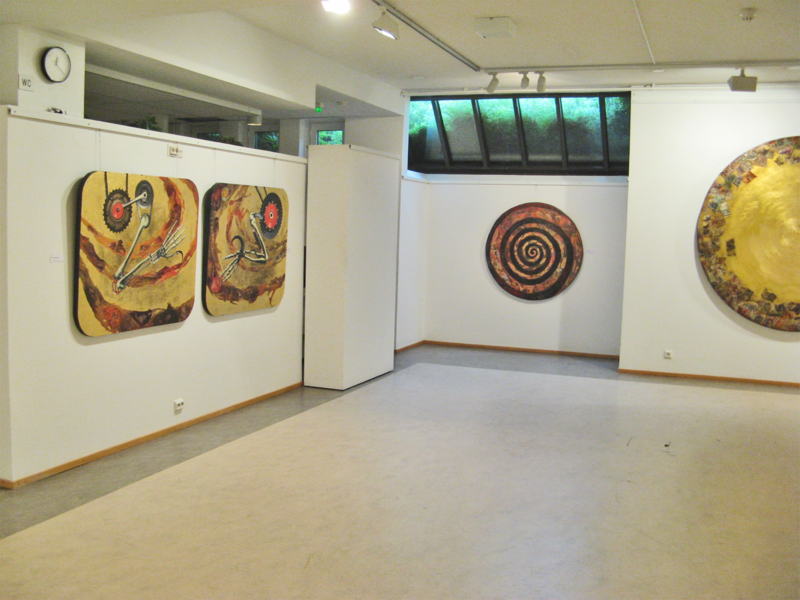 The large exhibition space is especially well suits for Nukke’s bigger pieces. 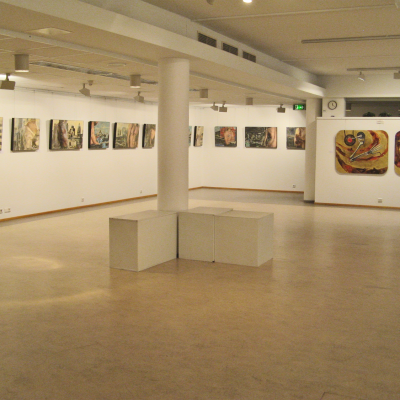 According to the artist, it is a great place for her exposition since Estonia lacks appropriate rooms for these pieces to be shown all together. Nukke’s work expresses interest in the powerful world of colours, uniting various techniques and human anatomy. Books of human anatomy were Nukke’s favourites in her childhood when having a dream of becoming a surgeon. „It was still easier to become an artist. Knowledge of anatomy has been really helpful in making art as well as in teaching drawing,“ says Mall Nukke. In her artwork the artist wants to convey a clear message. Among other subjects, Nukke criticizes the consumer society and greed. „Urban Romantic“ is an intriguing series of works where Nukke presents antique heroes wearing tattoos of various pop brands. With the backdrop of big cities the heroes become antiheroes while destroying their identity. „My daughter applied the tattoos on pig skin. I took photos of models and Photoshopped the tattoos onto their skin“, explains Nukke. Besides photos she also uses old advertisements and newspapers. She prepares the ground material for her pieces by herself, lately out of EPS (expanded polystyrene) that Nukke has used as the basis for the series of „Time & Things“. Nukke says that „it took a month to make the base plates for the series“. 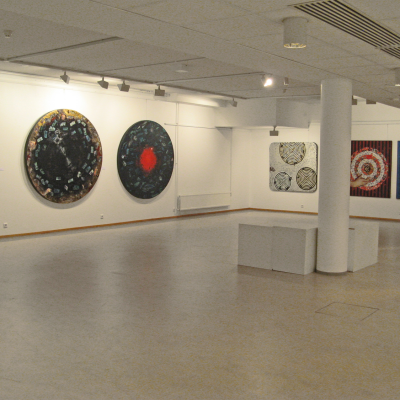 Mall Nukke has held numerous solo exhibitions as well as participated in many group exhibitions both in Estonia and abroad, including China and Japan. 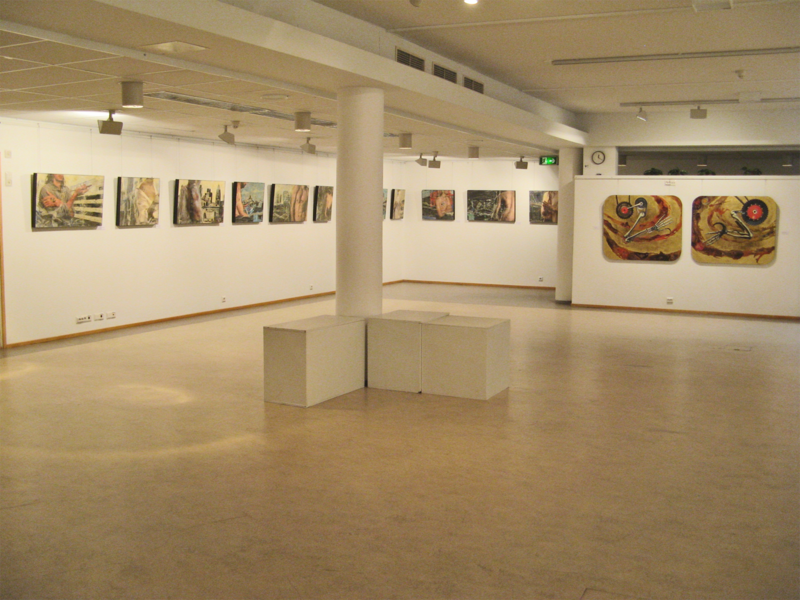 Her artwork belongs to several collections of both museums and private collectors. 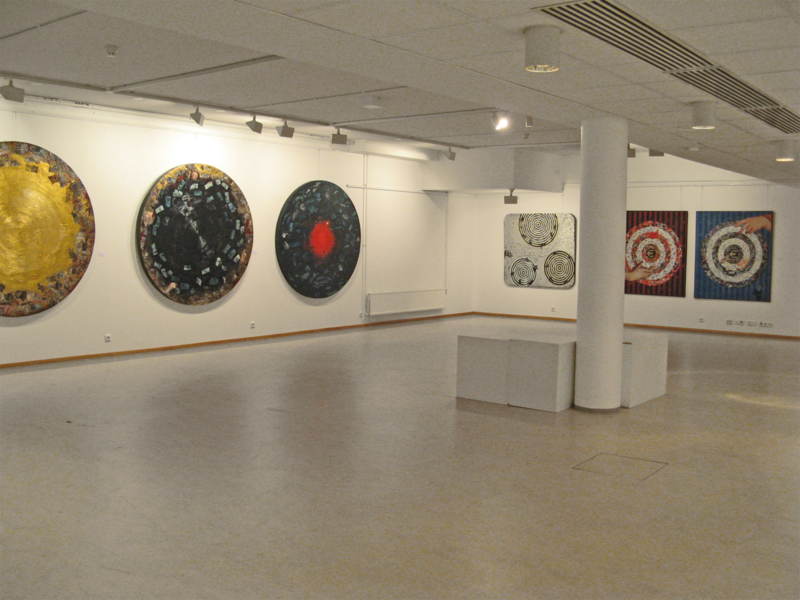 Current exhibition in Crusell Cultural Centre is Nukke’s first solo exhibition in Finland and also serves as the opening event for Kirjovakka project that is held in collaboration with Vakka-Suomi art association and Hannulan Union of Concert and Art. 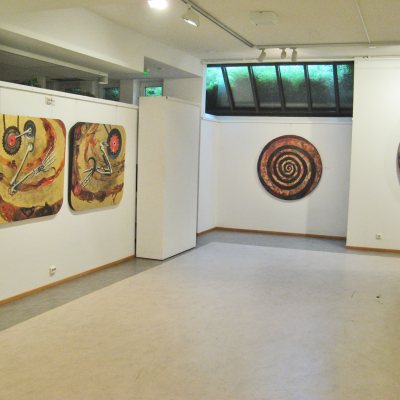 Valto Vaalikivi from Vakka-Suomi art association describes Nukke’s exposition as „extremely interesting work that consists the philosophy of human development“. Rauno Luttinen, representing Hannulan Union of Concert and Art, also confirms that „it is an outstanding exhibition“. 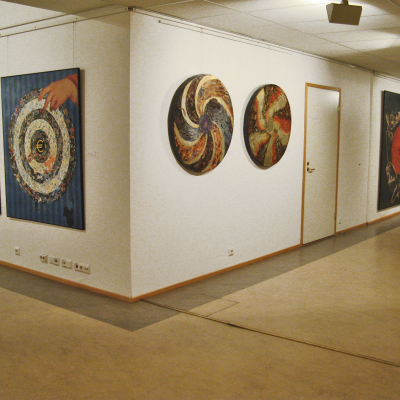 Mall Nukke’s collage art exhibition in Liljelund Hall at Crusell Cultural Centre will be open until July 15. Article by Merje Halinen, published in „Uudenkaupungin Sanomat“ on June 21st, 2012.